← Memo to Supe: You Should Not Litigate Learning! Athletic Directors, who needs ‘em? Most anyone who has ever been involved in scholastic athletics, regardless of sport or function, remembers the ‘AD’ at the school. He or she was the one person who was there before the game, and again long after the doors or gates were locked. Lee County has enjoyed a long legacy of strong ADs that has included Paul Gay, John Green, Sonny Yow, and now Steve Womack and Tammy Batten. If it weren’t for them and their many Assistant ADs over these many years, we might well have missed all of those football, basketball, baseball, golf, and gymnastic championships that are celebrated among the many banners in the gyms and on the trophy shelves. There wouldn’t be this community pride and sense of accomplishment that has permeated through Sanford and Lee County these many decades, long before Dr. Jeff Moss became Superintendent of the LCSS and before this BOE came into being. But it is this BOE and their hired man, Dr. Moss, who plan to end that legacy. At first glance Dr. Moss has the look of a former athlete and coach. After all, many school administrators came from the ranks of teaching coaches; we’ve had many in this county over the years. But what kind of coach, or former athlete, someone who knows the value of scholastic activities and the impact those activities have on the lives of students and the schools for whom they participate, would ever use them as bargaining chips. Dr. Moss does, but then he might not have been either a coach or an athlete and really doesn’t value that whole extracurricular thing that has been proven out in study after study. Extracurricular activity participants simply do better in school. So why would a school system superintendent not value them as well? Why would he consistently use athletics as a bargaining chip? There’s an old adage in negotiating strategies, ‘never bargain a position or an item you aren’t willing to lose’. Dr. Moss seems willing to bargain away these programs at every turn. The budget rhetoric heated up two months ago with the whispers coming from within the LCSS that first middle school athletic programs would be axed. Shortly thereafter when the commissioners and others began to question the amounts that would save, all athletic programs were put out on the chopping block. Again, the rhetoric ratcheted up, but how much would those cuts save? Not a whole lot! So when it looks like the desired effect wasn’t going to be reached, it’s announced that the programs were going to be saved, but the athletic directors were going to be cut their extended pay, and that their assistants and their middle school counterparts were not going to be paid for their efforts. Again, how much does that save? Not much! So why do it? That’s a question that only Dr. Moss can answer. So why Dr. Moss, are these programs and these people negotiating pieces? Is this Stanly County and Coaches Gaster and Morris all over again? Is this your way of telling the commissioners and the taxpaying public that if you can’t get your way, you’ll hurt people in the process as a way to say, ‘so there!’? You did it in Stanly County. Of course, you did want to have a County AD to supervise the two high school programs from the Heins Building. This county didn’t need that, but it does need Tammy Batten and Steve Womack, as well as the assistants and their middle school counterparts. So who needs athletic directors? Lee County does! 4 Responses to Athletic Directors, who needs ‘em? Sorry Charlie, but as a taxpayer, a nonparent and a non-sports nut, the AD position sounds like a administration position with little direct contact with students, I have no idea of what they cost but they sound more like a Want than a Need. I am not anti-sports I know a good coach can make a huge impact on a student and can turn them onto the right stuff even on a losing team; can an Athletic Director do the same? It is a shame that they are being used as bargaining chips but they may be ones that we can afford to lose. Your post is getting no comments so let the sportsmen tell me how misguided I am. When I was in high school (Lee Senior) Coach Yow taught two classes of Advanced Placement Biology. I took his class and after school we came by to stay for a extra hour to get ready for the AP exam. He was also the golf coach at the time and led the Women’s golf team to a state championship. All while being Athletic Director. I am surprised about this post though. 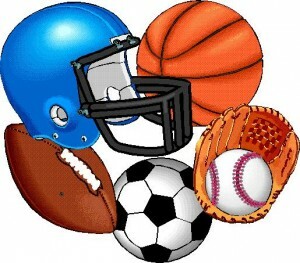 Several “real” conservatives locally have called for doing away with all sports. See some of the things that Shelia Barber has written about all we need is the three Rs. RANDALL, (May I call you Randall or do you prefer Mr. Yow? please do not call me Mr. Clinton!) Not an attack, but am I to take it that coach Yow was unable to teach AP Biology in the time allotted, or were you and a few others having problems with the subject? No shame, I was good at math but trig. and how to use a slide rule required after hours instruction. I have to brag a bit, as a junior I actually taught a quarter of Chemistry because the regular teacher got injured and they could not find a substitute. The asst. Principal had teacher certification so he sat in the back and kept order. I kept about one week ahead of the class (which I was taking at the time) year end exams everyone passed and we scored higher than usual. I learned two things, I had a knack of explaining how things worked and that I didn’t like teaching! I said before that I believed in coaches, it was just Athletic Directors that I thought might be a luxury that we couldn’t afford. I do think sports get over emphases in the South. I must not be a real conservative, the 3Rs are basic but you also need some science, history, civics and even sports. Randall is just fine, just not Randy. I did not even know that was short for Randall until 1st grade. The extra time was just to get us ready for the exam. It was maybe an extra six weeks. If you take the AP classes you do not have to take the AP exam. I do not know if that is still the case. I had to pay $80.00 to take the test, and I am glad Coach Yow gave us the extra time to get us ready. Coach Yow was also the AD at the time at the time as well as a coach. Most ADs do more that just being ADs. History and Civics are the two most important classes you can have. It troubles me greatly how ill inform some students are in these subjects. If you do not know the history of your state and country you are missing so much. Our founding fathers were no where near perfect, but they were doing what they thought was right to make things better. History that we get from school and Religion that we get from church are what should be the two major guiding points in everyone’s life.